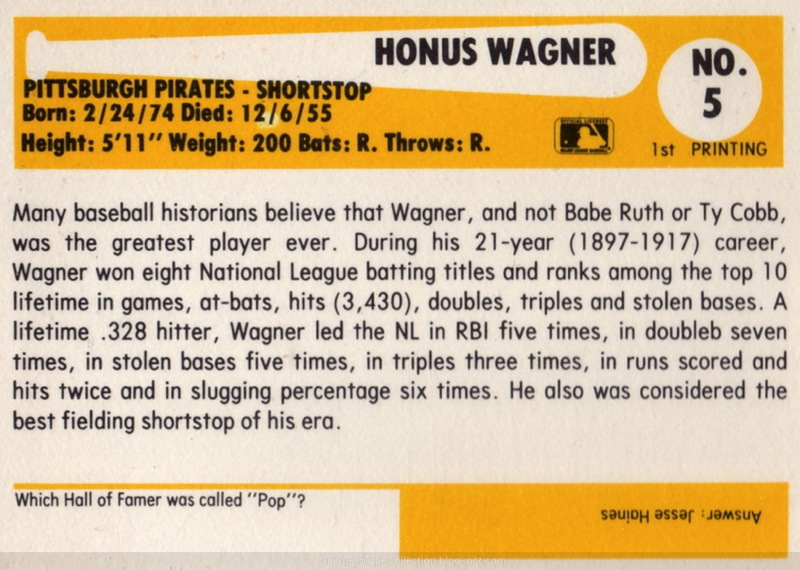 Already covered oddballs this week for Babe Ruth (1980 Babe Ruth Classic) and Ty Cobb (1975 Praeger Publications), but here's one more legendary player, the incomparable Honus Wagner! I just wish he looked happier to be here. According to Trading Card Central's excellent profile, collector-focused companies TCMA, Reneta Galasso, and SSPC all could've had a hand in this set. 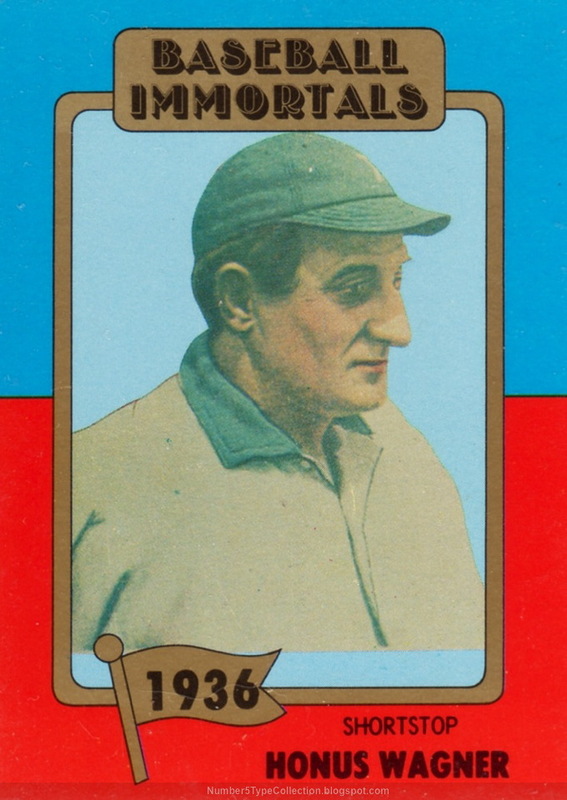 Its "1st printing" showcased the 173 members of baseball's HOF, current to its year of issue. Mid-80s updates added further inductees. 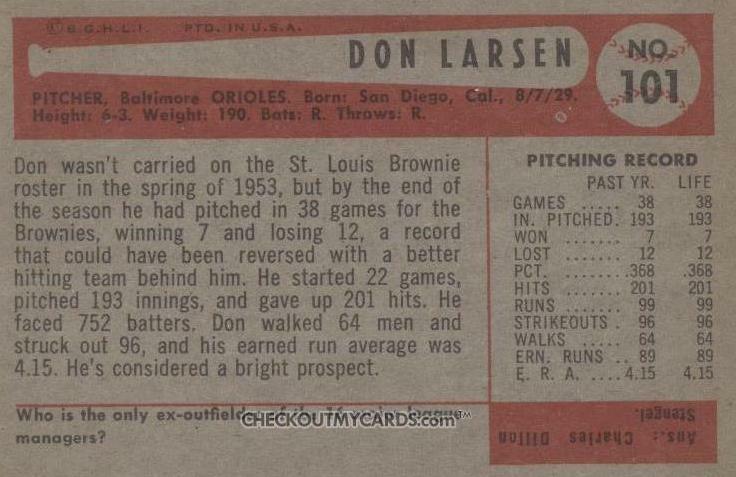 Back layout's a dead-ringer for 1954 Bowman, if you allow for color changes and "text stats" instead of a grid. I cribbed this comparative from CheckOutMyCards.com. 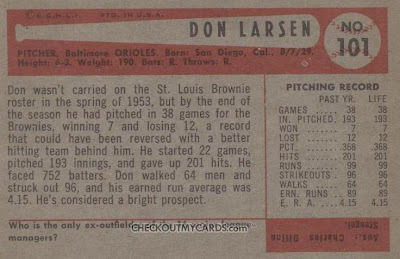 Value: I see these at most card show for a few dollars each. 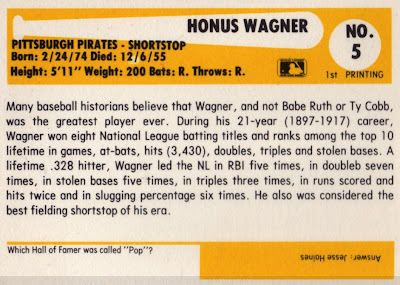 Such a recent set's unlikely to appreciate in value, despite exclusively featuring HOFers. Fakes / reprints: Haven't seen any reprints in the market, as the real thing's easy to come by.